That's Otis. He's one of our groundhogs. 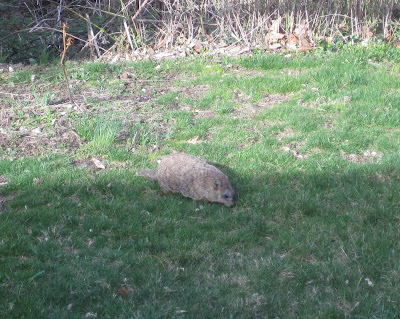 On Sunday afternoon he came out of hibernation and visited us, munching on our grass. His appearance must mean it's spring, right? Stupid Punxsutawney Phil. I sat at the kitchen table and watched Otis for a while. He's cute, and he has good hearing - every time we spoke, he would look up at the window. 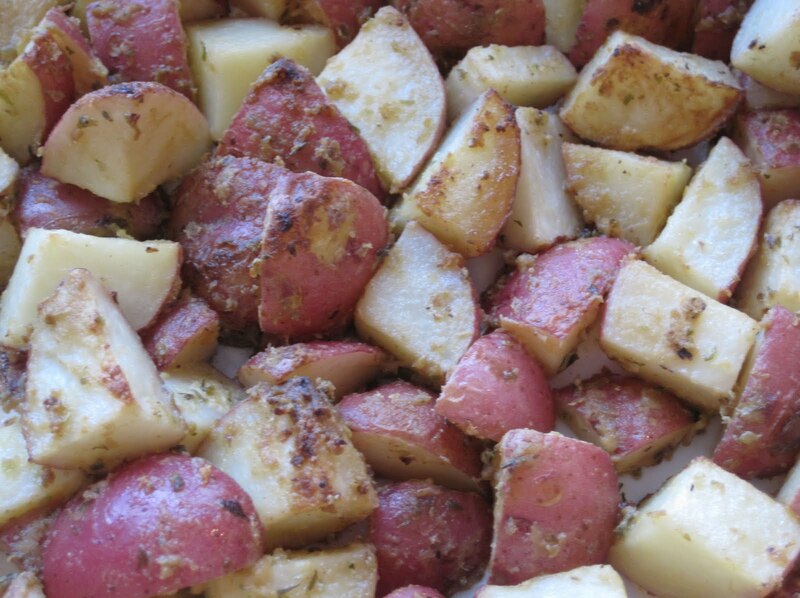 Meanwhile, the smell of these Mustard-Oregano-Lemon Roasted Potatoes filled the air. Yum! I wonder if Otis could smell them? It was our anniversary and even though we didn't go out to celebrate since we were sick, I wanted a nice meal, something more exciting than our usual roast chicken or pasta. 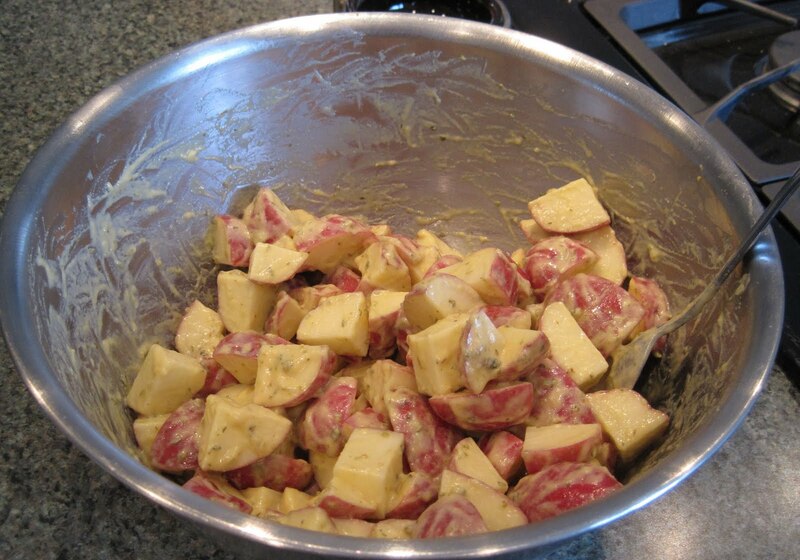 But it had to be easy and not too time consuming. 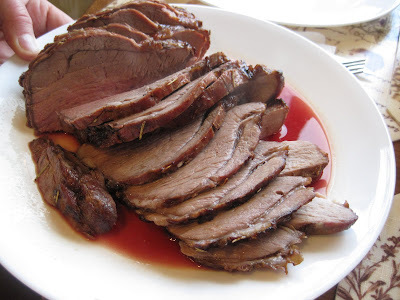 So we cooked a leg of lamb marinated in our usual blend of red wine, mustard, rosemary, and lemon. We wanted to grill it, but it was way too windy, so we cooked it in the oven. Look at that beautiful pink lamb. Juicy and tender. Lamb is spring-like, right? As traditional as ham at Easter, which is this coming weekend, right? Also spring-like: asparagus. 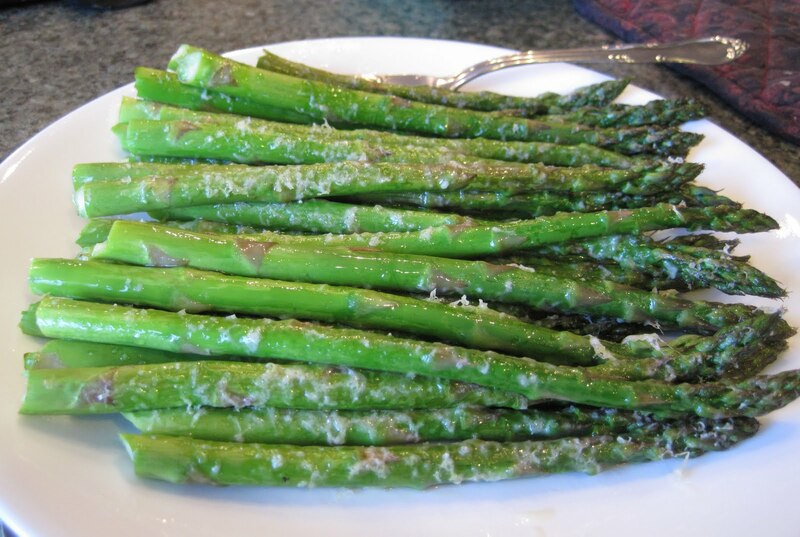 Asparagus is my favorite vegetable with lamb: Seasoned with salt, pepper, and olive oil then sprinkled with grated parmesan. All these spring like things and I was sneezing into tissues. At least my cold didn't dampen my appetite or my taste buds! It was a delicious dinner followed by some mangled wedding cake & lots of hot tea. Aww, feel better lady! That meal looks like an excellent method of healing. 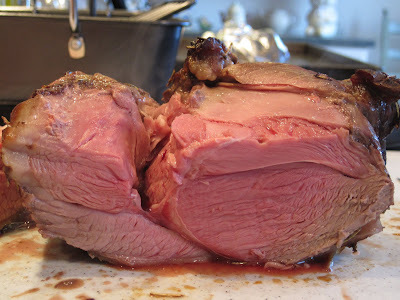 Roast at 425 for 40-45 minutes.